thank you guys so much for the rug enthusiasm! it's always fun to hear your feedback. plus, it often validates my taste, and that's something almost anyone would get excited about, right? apologies for leaving you high and dry yesterday. instead of finding fab inspiration for you, i was busy finalizing paint samples to take care of a little problem that is our powder room. someone had a sense of humor . . .
anyway, the transformation will be underway this weekend. it has everything and nothing to do with baby seals. Looks like we will both be painting this weekend! At least it's a nice rainy weekend to stay inside :) Can't wait to see what you do!! Wow, that's some color! Can't wait to see what you choose! Happy painting! Can't wait to see the results! 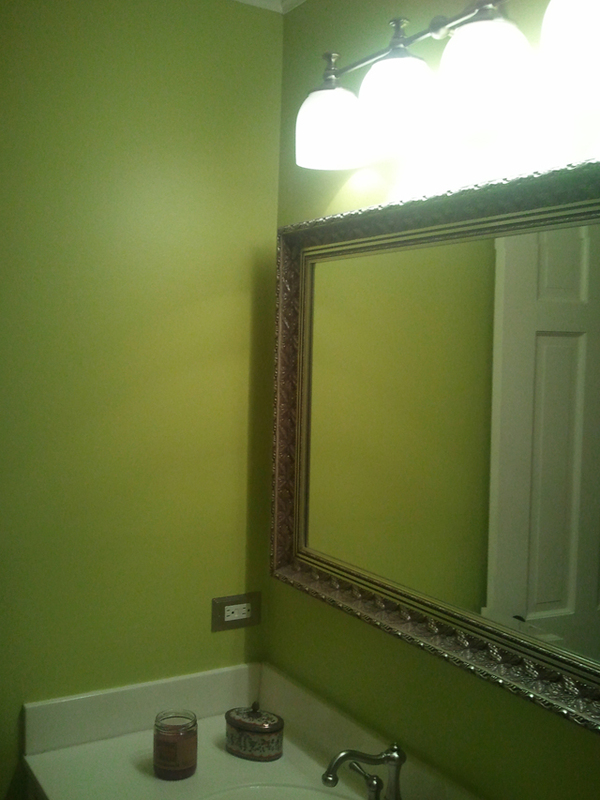 that bathroom is green as hell. what'cha gonna do to it?? 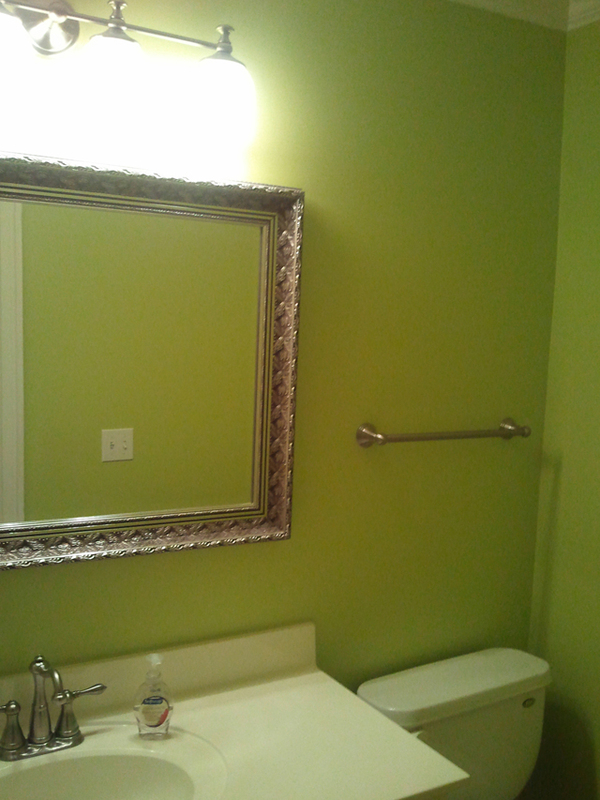 Hope my weekend is as bright as your bathroom!? Looking forward to your livingroom progress too. Have a good one dear! i'm LOVING all the home photos!!! keep it up! like i've already said....that rug looks FAB! Hope you have a successful weekend and can't wait to see the results! Enjoy. I hope painting went well! It's gonna be dark, right?